Instagram’s latest stats show that 80% of accounts follow a business on Instagram. And if you pair that figure with the fact that nearly half of all Instagram’s 800 million users are expected to be using Stories by the end of 2018 and the 60% of people who say they discover new products on the platform, it’s time to learn how to use Instagram Stories. In this article, we’ll explore how Instagram Stories works, how it offers a raw and authentic glimpse into the inner workings of brands, and how to use Instagram Stories to improve your company’s reach. Instagram is a free marketing tool with incredible growth and an intuitive user interface, so using it to expand your reach is a no-brainer. But for businesses that have become accustomed to using Facebook and Twitter, it can be hard to work out exactly how to use the platform to strategically achieve their goals. For one thing, it’s a highly visual platform. So if you don’t naturally have beautiful high quality photography ready to fill feeds like many fashion brands and celebrities do, it can difficult to know what to share. 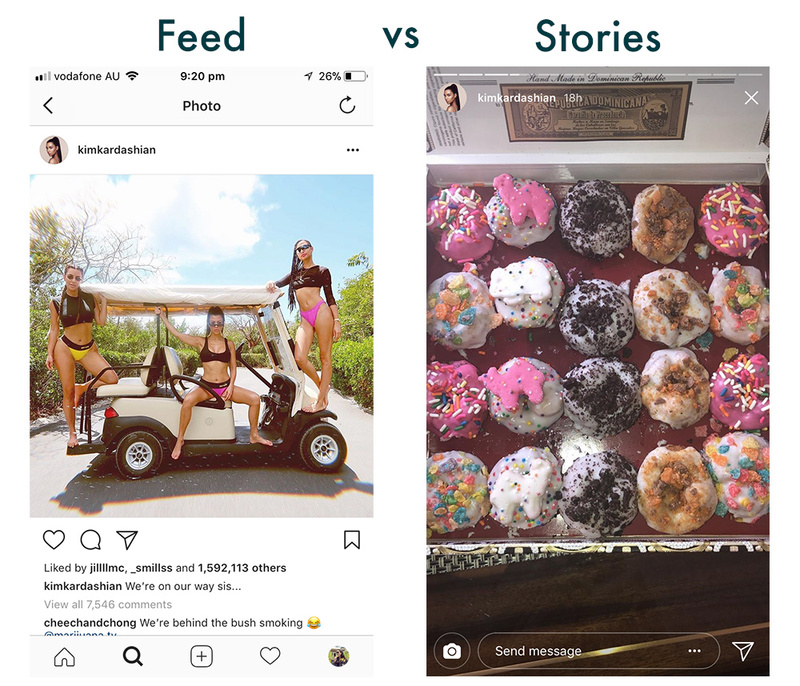 This is where Instagram Stories fills a completely contradictory need for users that also benefits brands: while users want to scroll through their feeds and see glamorous photos of influencers wearing beautiful clothes in stunning surroundings, they also want a glimpse of the inner workings of brands, which they catch fleetingly via Stories. It’s an intriguing dichotomy – users want to be sold to and want the constructed reality that brands portray, but at the same time, they want to see that real people are working behind the scenes. 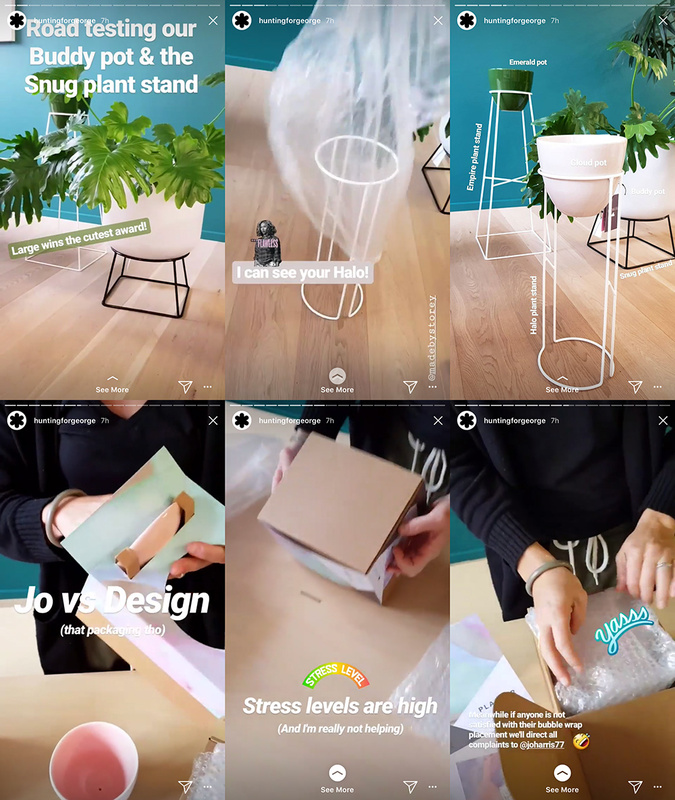 As you can see from the images above, Instagram Stories are a more authentic way of connecting with users in an age where the internet and social media have broken down the barriers that once existed between companies and consumers, who are now increasingly demanding of brands. The imagery in feeds and Stories don’t necessarily need to complement each other aesthetically, either. As long as you stay true to your brand, followers who view your Instagram Stories are smart enough to understand that you are sharing something that is “real” and happening right now. Instagram’s growth both in users and time spent on it are two big reasons why companies are flocking to the platform in impressive numbers. There are currently 25 million business profile on Instagram, up from 8 million in March 2017 and 1.6 million in September 2016. Small businesses make up the majority of advertisers and business profiles. 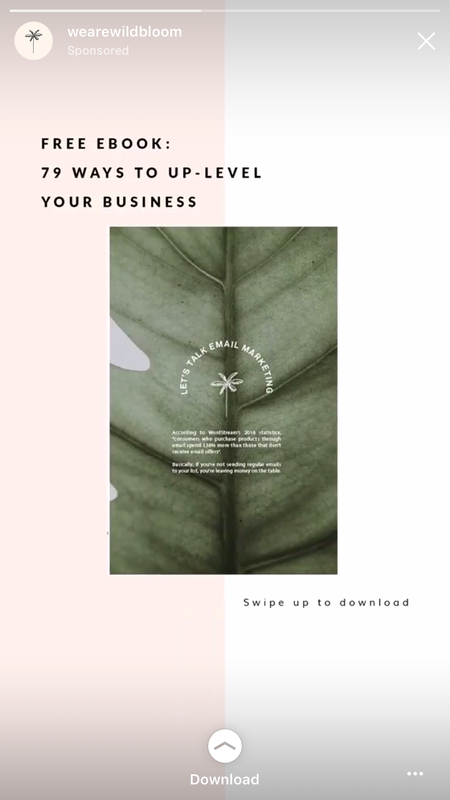 New business profile and advertising features for Instagram Stories also provide brands with better access to analytics data and, more recently, making it easier for users to shop Instagram with “swipe up to shop” and the ability to tap Stories for buying information. Today we’ll show you how to use Instagram Stories by taking a look at what businesses are already doing. Instagram has been a tricky platform for brands due to the fact you can’t include links in posts. This means that you can’t simply drive traffic to a website the way you would with Facebook or Twitter with a straight up post in your feed. But you can with Instagram Stories. 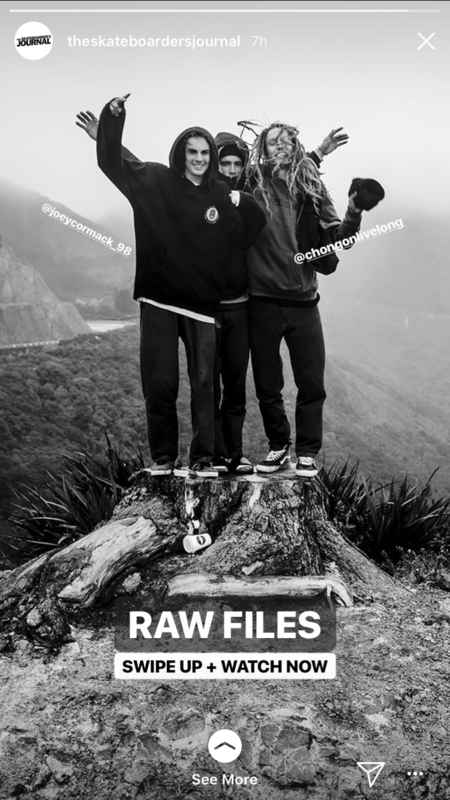 The Skateboarders Journal understands how to use Instagram Stories to great effect. Check out how they give a video teaser and then asks followers to swipe up to watch the full video on a blog post on their website. 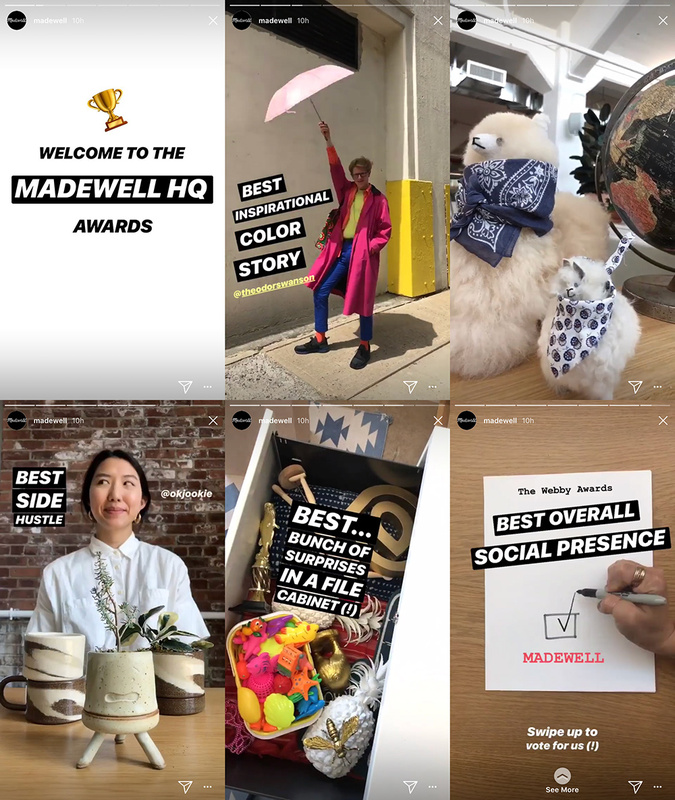 Lastly, check out how retailer Madewell uses Stories to encourage followers to vote for the brand in the Webby Awards. When you reach the end of this cute series and swipe up to see more, you’re taken to a voting page. One of Stories’ most exciting features for eCommerce brands is the ability for users to tap on a story for pricing details and swipe up for more information, moving users from inspiration to information on purchase in just a few steps. With 200 million Instagrammers visiting at least one business profile daily, the ability to shop now in feeds, but also swipe and shop in Stories, has been a game changer. In this super cute example, fashion brand Gorman uses Stories to announce it has re-stocked its line of dog coats, and invite followers to swipe up to shop. Behind the perfectly curated images that fill feeds are real, live human beings who run the photoshoots and create the content that powers Instagram. Or simply like to film colleagues on their mobile phones. Take homewares company Hunting for George, for example, who shared this peek at some new products, as well as what’s involved in packing and sending fragile items to customers. 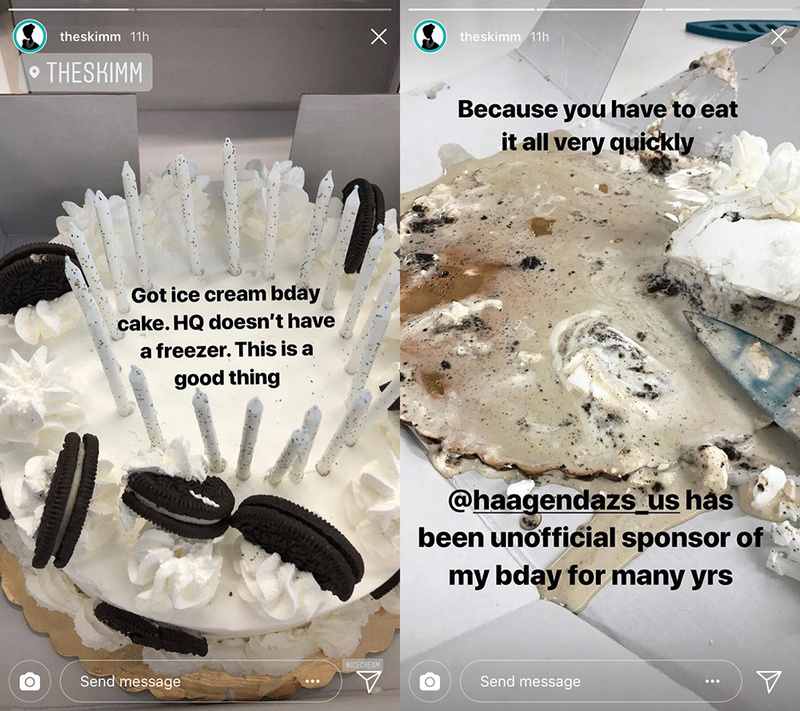 The Skimm, an email newsletter aimed at savvy young women, understands how to use Instagram Stories to connect with their audience. They routinely post funny and often completely off-topic images, videos, and boomerangs. Sharing mundane and not-so-glamourous pics of office shenanigans is one way to establish authenticity with followers. So is taking people along on a journey with you, as Spell & The Gypsy did during a recent trip to the U.S. The Australian brand has a long history of showing off its whimsical fashions at festivals. And this month, the brand didn’t disappoint, sending its models – and no doubt several suitcases full of outfits – to Coachella. You can see at a glance that Spell & The Gypsy is a brand that really understands how to use Instagram Stories. 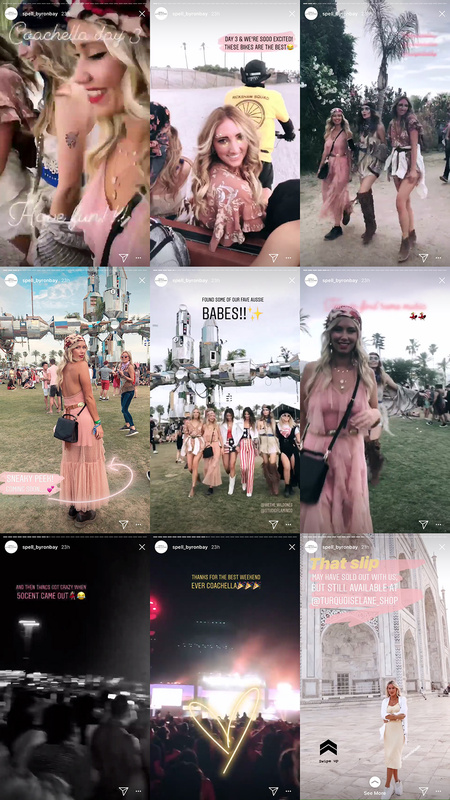 The Coachella stories above work on so many levels – they are fun, beautiful, inspirational and are designed to stir up envy in followers who live vicariously through Spell & The Gypsy’s alluring Instagram account. So when followers see that little “See More” button, they are likely to swipe and buy. For brands that have traditionally relied on glossy magazine spreads to promote seasonal collections, Stories provides a way to blend art-directed photography with moving imagery, video, and text. 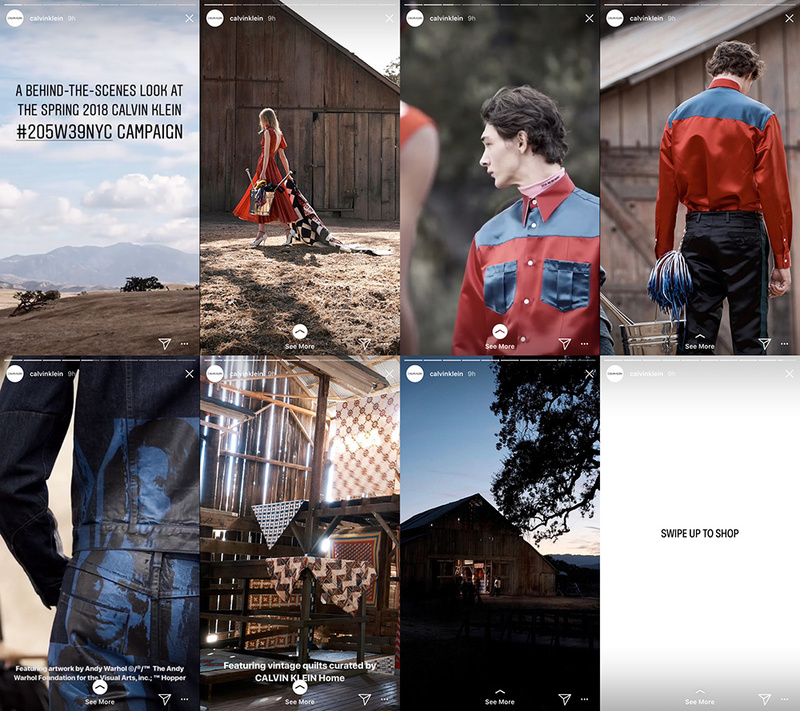 In this example from Calvin Klein, the fashion brand offers a behind-the-scenes look from the photoshoot for its upcoming Spring 2018 collection. The series features simple captions that provide context for individual images and finishes with a simple call-to-action, “Swipe Up to Shop” against a white background. Status Anxiety is another brand that really understands how to use Instagram Stories. In this Stories highlight, the bag retailer shares some sneak peeks at upcoming products soon to hit its stores. For followers, it helps stir up excitement, but for businesses, it provides a sense of how popular new releases might be so they can assess how much to order. Using Stories to get real-time feedback from followers is another way to engage and get people thinking about a particular topic. The fleeting nature of Stories means that followers feel pressured to respond immediately if they have an opinion, especially since it’s so easy to do – they just need to tap a button. Web development agency Typenest, for instance, regularly asks its followers to vote in polls that cover different aspects of online business and running a website. 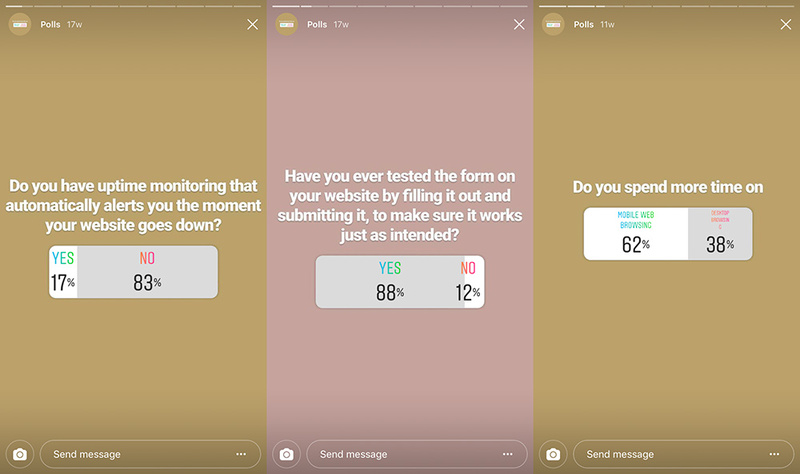 The results provide valuable feedback, giving the agency insight into how its followers maintain their sites, while also spurring users into action. 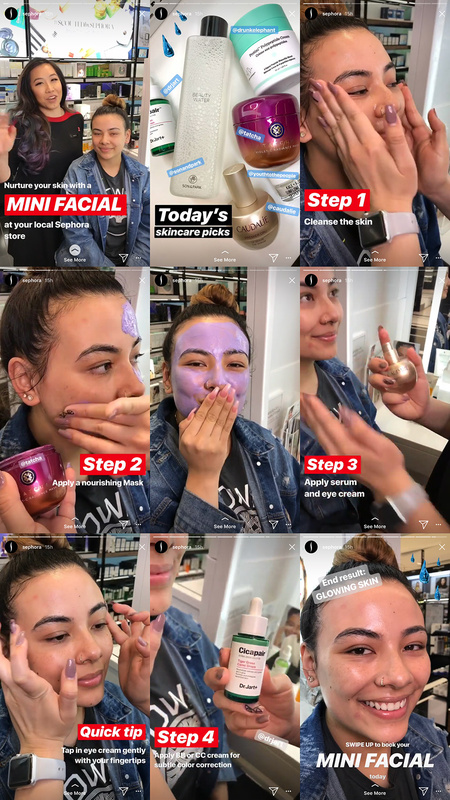 The video tutorial is a fun way to show virtual audiences that anyone can use Sephora’s products and give followers the opportunity to follow along. Plus, the friendly faces help boost the sense of community and loyalty around the brand. You don’t need to sell physical products in order to make the most of tutorials. Even if you run a SaaS or sell an app, you can still make the most of tutorials. Here, personal trainer Kayla Itsines walks followers through how to use her popular Sweat mobile app. Tutorials and how-tos don’t have to be complicated – they can be as basic as turning on selfie mode on your phone and speaking directly to your audience. The idea is that you’re offering help to your audience in some way that provides value. While Instagram feeds are typically filled with beautifully curated and art-directed photography, Stories strips pulls back the curtain, giving Instagrammers a raw look at what goes on behind the scenes of brands. Knowing how to use Instagram Stories will help you connect with your audience in a deeper way than you can through your regular Instagram feed. Use sound: While Instagram is primarily a visual platform, 60% of Stories are viewed with the sound on. So think about adding music to keep your followers watching, or even talking directly into the camera. Hashtags and stickers: Have fun with your stories. Add cute stickers, draw over your photos and videos, add text and geotags. And don’t forget to use filters! Highlights: Instagram’s Highlights feature, which sits underneath bios, lets you display multiple Instagram stories into evergreen content your audience can view at any time. Lastly, don’t be afraid to experiment! The beauty of Stories is they only last 24 hours, so if something doesn’t work, you can simply wait for it to disappear. Now that you understand how to use Instagram Stories it’s up to you to get creative and how you share your brand and day-to-day life with your followers. And if you haven’t already got a marketing strategy for Instagram, check out How to Craft an Effective Instagram Marketing Strategy. Do you use Instagram Stories? How do you use Instagram to promote your brand? If you have any questions about how to use Stories, leave a comment below! The post How to Use Instagram Stories in Your Instagram Marketing Strategy appeared first on Revive Social.